‘Gulfsnow’ | Florida Foundation Seed Producers, Inc. Description: ‘Gulfsnow’ is a 2012 joint release from the University of Florida, University of Georgia, and USDA-ARS breeding program. Trees of ‘Gulfsnow’ are vigorous and semi-spreading, producing white, non-melting-flesh fruit. 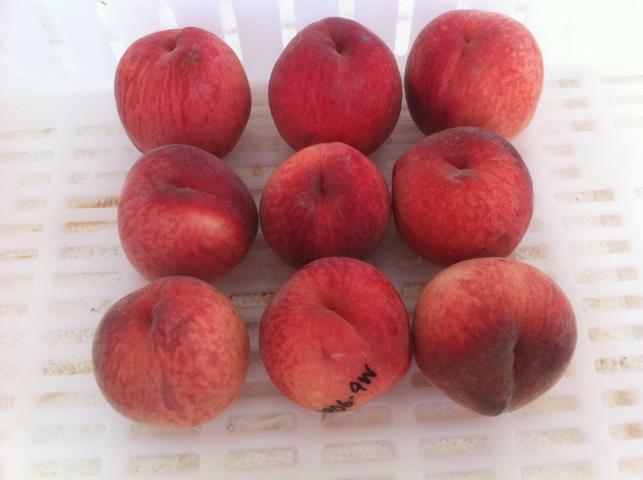 ‘Gulfsnow’ fruit are large, round, and attractive with a 50–60% blush over a cream background. The fruit are clingstone, with medium-sized, red pits and have a FDP of 110 days.